Installation department handles repairs or new installation for every kind of refractory lining. Using modern mechanical infrastructure we execute every project according to the required specifications offering continuous supervision from responsible engineers and ensuring the maximum quality-time equilibrium. Planning department provides complete cost analyses and energy or production gains for various solutions. Those studies are unique and focused in the production processes of every individual customer. In collaboration with ITE (Industrial Technologies and Engineering srl), completed offers, for new productive units, are submitted. 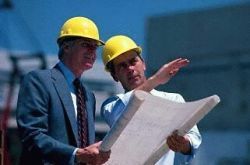 Supply of drawings is also possible after relative agreement with the customer.